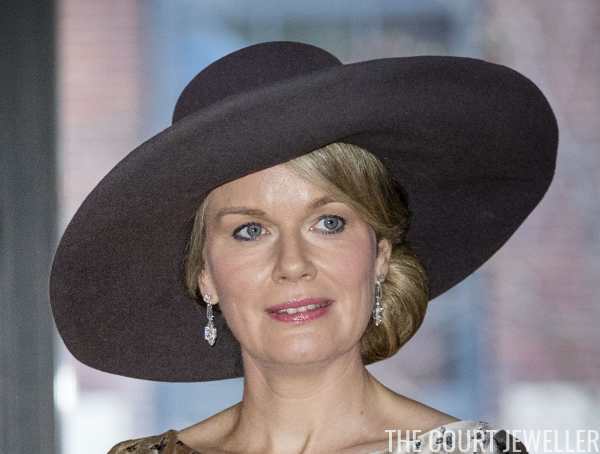 King Philippe and Queen Mathilde of the Belgians are in the Netherlands for a three-day state visit this week! 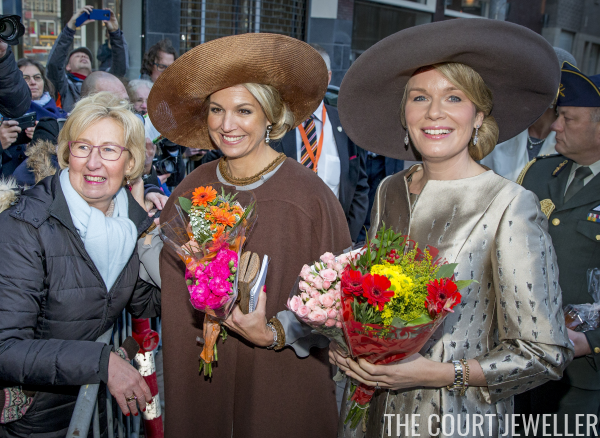 Queen Maxima and Queen Mathilde kicked off day one with a visit to a Flemish culture house in Amsterdam. Here's a look at what they wore. 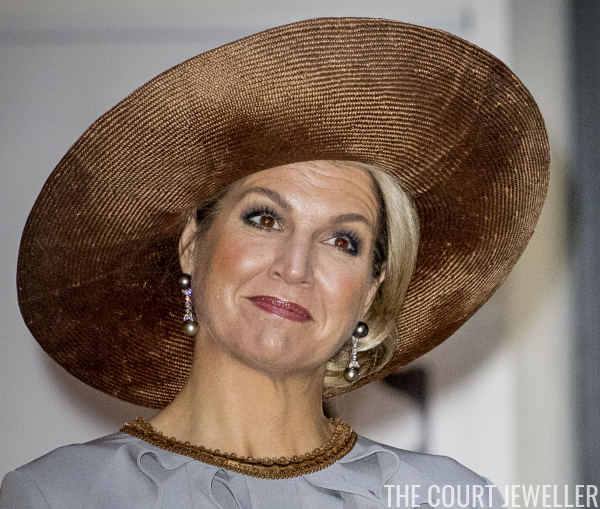 Maxima paired pieces from the family's collection of silvery-gray pearls with her outfit for the event. The earrings feature a round pearl stud, a diamond pendant, and a round pearl drop. 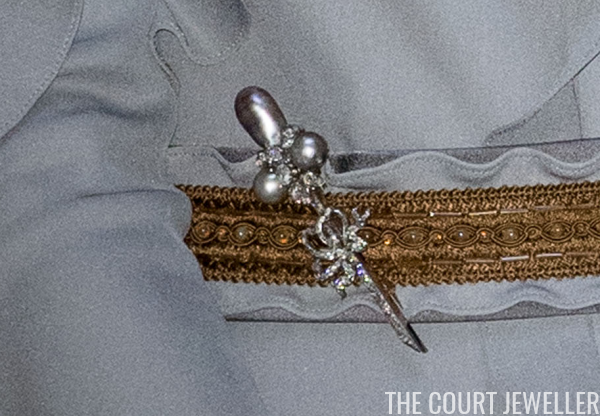 The gray pearl brooch, which has a diamond ribbon winding around its stem, comes from the collection of Queen Wilhelmina. Maxima pinned this jewel to the waist of her dress. 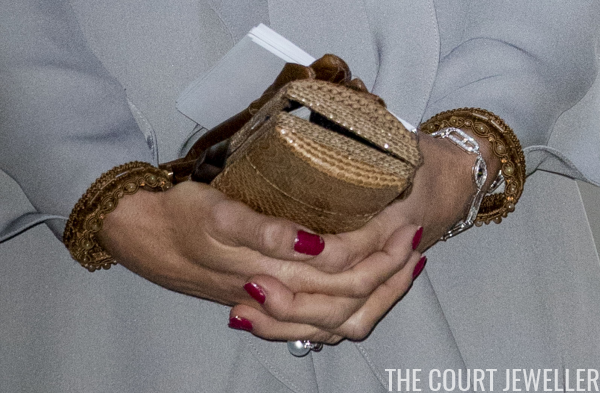 Maxima also wore her diamond family initial bracelet and a pearl ring. Mathilde went with diamonds for the visit, including her lovely diamond earrings. 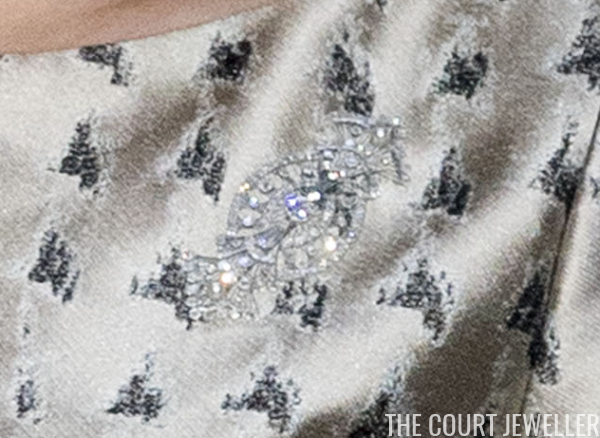 These earrings, which feature various diamond cuts, are newer additions to her jewelry box. She debuted them earlier this year in Sweden. On her right wrist, Mathilde wore her diamond bracelet with a wrapped lattice-work pattern. We also get a sneaky glimpse here of a ring. 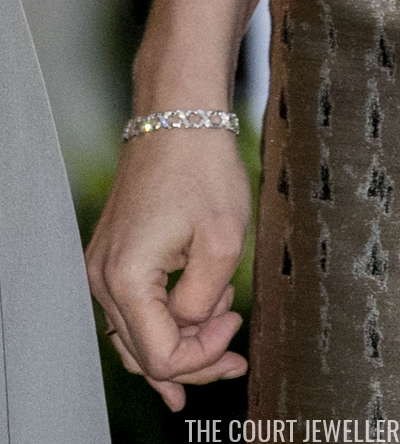 That's it for the first engagement of the day -- stay tuned later today for state banquet jewels!